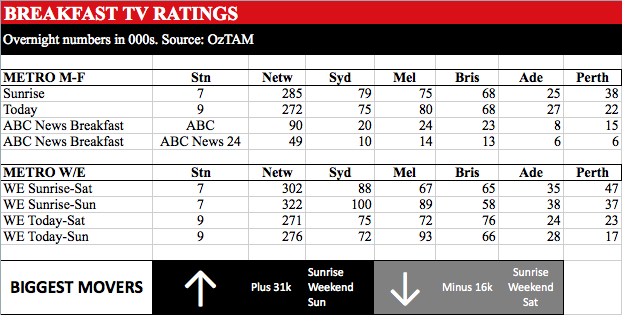 At the halfway mark of the survey ratings year, Network Ten was the first network to pump out information about its performance in the first 20 weeks. While TEN didn’t figure in the rankings as much as the Nine-dominated Origin 3 this week, it did see all five MasterChef episodes from that week secure a spot in the top 21 shows. TEN had two other entries in the top 40 – both linked to Hamish and Andy. Hamish Blake’s appearance on Have You Been Paying Attention? secured that a spot on the chart with its biggest-ever audience. The Project 7pm also made the 40, with help from a big Thursday audience which, you guessed it, featured an appearance from Hamish and Andy. And Ten’s good news about its half year performance? Network Ten: The Only Network To Grow In 25 To 54s, Total People. TEN: The Only Commercial Primary Channel To Grow In 25 To 54s, Total People. TEN: Up 14% In 25 To 54s, Up 15% In Total People. TEN: Best First-Half Ratings Performance Since 2012. Three Successful New Formats So Far In 2015. 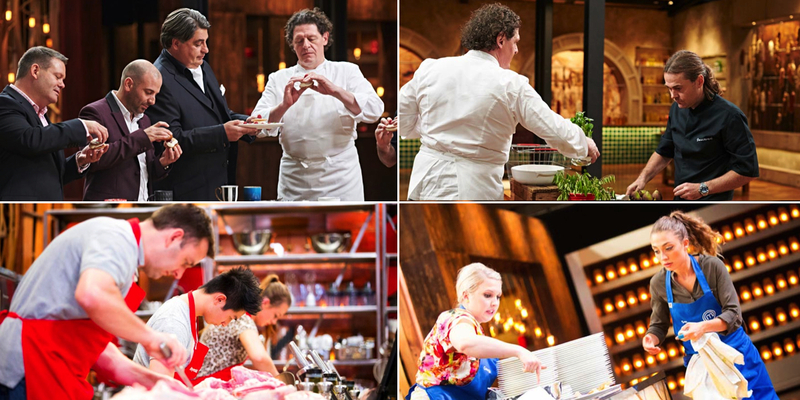 MasterChef Australia: Up 20% In Total People On 2014.
tenplay: 82.3 Million Video Views, 142 Million Page Views. 150+ Social Media Channels, 9.6 Million Followers.